This project aims to develop a framework that helps industries understand and manage the whole-life cost and value generated by their assets. Increasing technological capabilities to gather and analyse data, leading companies in the infrastructure and manufacturing sectors are developing an awareness of most of the costs incurred throughout an asset’s lifecycle. Some of these companies have started using TCO as a key metric to support procurement, operations and maintenance decisions. The benefit of using TCO is that a decision maker could be incentivised to go beyond the consideration of capital expenditure, and think of the potential whole-life cost arising through the use of their assets. In this regard, TCO helps achieve a cost-efficient life cycle management of the assets owned by the company. But TCO models are still poorly practiced in industry, in spite of their advantages. Furthermore, the flavour of the day in the industrial and academic world is to encourage innovative thinking to extract the maximum value from the assets, instead of thinking only about cost. Value can be tangible or intangible, and is determined by the organization and its stakeholders. 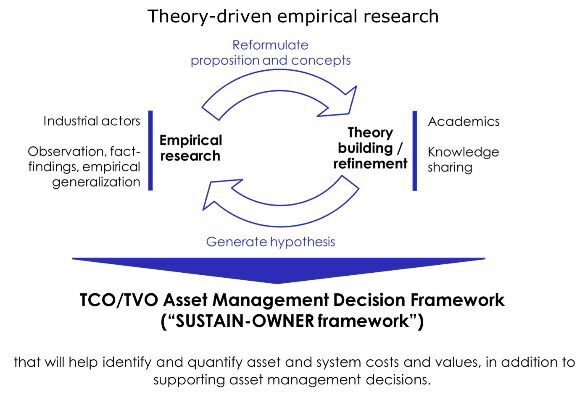 Thus TVO extends cost-based decisions to include considerations of risks and performance of the assets throughout the lifecycle. The importance of value maximisation in physical asset management is currently accepted, in particular because of the ISO family of standards on asset management ISO 5500X. However, there is a distinct lack of clarity and understanding of what value means, how to identify and quantify value, how to base decisions on it. The purpose of the project is to study the evolution of TVO and TCO as used in industry and understood by academics, with the aim to develop a framework for understanding, quantifying, and using TVO / TCO for decision-making. Overall, the goal is to inform industry how the concept of TVO/TCO can bring a positive step-change to the effectiveness of asset management, providing an asset owner the capability to develop a sustainable factory/infrastructure according to the economic, social and environmental requirements of the local industry/society. how to base asset management decisions on value and cost.